Maria Roque Machado has a birthday today. Maria de Melo Gulla posted a message on Maria Roque's Profile. Maria Roque Machado added a comment on her Profile. Maria Roque Machado added a photo to her profile gallery. Maria Roque Machado updated her profile. View. 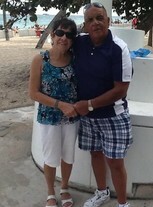 Maria Roque Machado changed her profile picture. New comment added. Maria Roque Machado posted a message. Maria Roque Machado has left an In Memory comment for Antoinette Olivera Johnson.